Can You Replace Oil with Grease? "Can an EP-00 grease be used as a replacement for an ISO VG 220 gear oil? One of my customers is having problems with his enclosed gearbox. The manufacturer-recommended product for the gearbox is an ISO VG 220 oil. However, due to severe wear and tear as well as clearances in the gear teeth, the customer is mixing ISO VG 220 gear oil with an NLGI #2 grease. Using this mixture has solved the problem to some extent. My question is whether I should recommend the customer use an EP-00 grease with a base oil viscosity of 190-220 as a replacement for the ISO VG 220 gear oil." 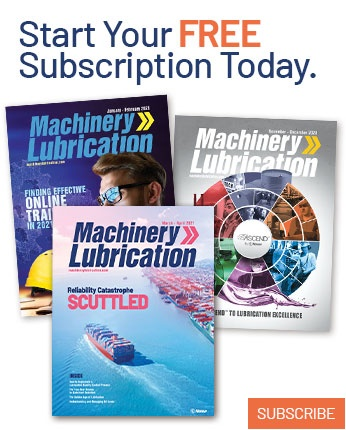 When an equipment manufacturer recommends an oil for a gearbox, the lubricant typically is selected based on the operating conditions, including speed, temperature and gear type. Oil may be preferred in this application because it can absorb and dissipate heat, flow over the lubricated surfaces, be filtered and be recirculated. Typically, semi-fluid greases such as NLGI #000 or #00 are recommended for small gearboxes that frequently are run to fail. This strategy simplifies maintenance practices by reducing the chance of a leak and the need to top up components. Another application of semi-fluid greases is in very large and heavily loaded open gears. In this context, the grease is applied as total-loss lubrication. This can be effective for a short time, as the grease remains in place due to the adhesiveness of the oil and thickener and then drops, removing contaminants from the environment. Open-gear grease formulations are often highly additized to support extreme loads and temperatures. Some amount of grease can be added to an oil-lubricated gearbox to reduce lubricant leakage or noise. It is simply a matter of analyzing the pros and cons. 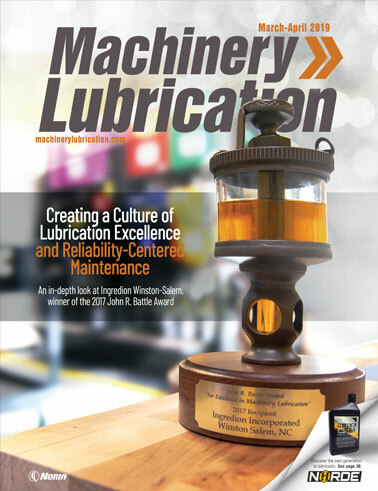 The best advice is to use a low enough concentration of grease that it will not significantly affect the lubrication or operating parameters but will still help control the undesirable factors. 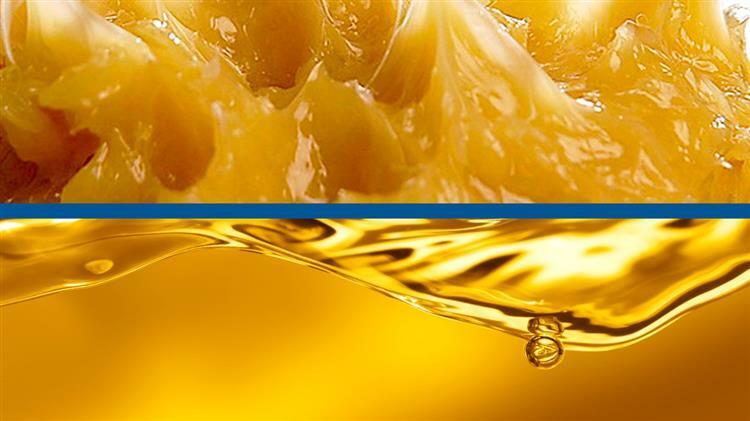 It is important to remember that grease is a mixture of base oil, a thickener and some additives. The grease's consistency is primarily determined by the concentration of the thickener in the formula. An NLGI #2 grease has a higher proportion of thickener than an NLGI #00 grease. Consequently, it is possible to achieve an NLGI #00 grease by mixing an oil with an NLGI #2 grease, assuming the mixtures are of similar oils and thickeners. With this in mind, it would be acceptable to use an NLGI #00 grease in the application. Just be sure to check the operating temperature after the change, since it may increase a few degrees. If the temperature rises more than 15 to 20 degrees, the grease may need additional dilution. Of course, this should only be employed as a temporary solution. At some point, the gearbox should be repaired or replaced.